Inside REO Plastics in Maple Grove, 76-year-old Tom McMullen never stops tinkering. Ideas come and go. But McMullen’s lasted a long time. In fact, his idea lasted for more than 35 years. “I’m a perfectionist, it had to work at 100 percent,” he said. McMullen’s idea for an electronic nail clipper took persistence and patience. He studied the market and found there was nothing out there to help people with disabilities or an amputee. “I know more about the people who got arthritis that can’t clip their fingernails. The people who are sightless who cut themselves when they clip their fingernails. The diabetics who are concerned about cutting their skin. I know more about the underserved market than anyone in the world. And who is going to do this and who’s going to come out with the ClipDifferent if I don’t do it,” said McMullen. Sticking with something for a few months is one thing. You may ask why McMullen kept at it for three decades and counting. McMullen’s late wife, Trudy, was stricken with cancer and bound to a wheelchair. He wondered how he can make her life better. Soon after his invention hit the market, it didn’t take long to realize all that tinkering was making a difference. Testimonials poured in about his ClipDifferent product. From a woman living with arthritis, to an amputee, to a boy who kept biting his nails but couldn’t stomach the thought of using a regular nail clipper. Hearing stories about how his invention changed other’s lives not only impacted McMullen, they impacted his children too. T.J. McMullen and his sister, Melanie, left their careers to work for their dad. In the process they learned something about him. “I thought maybe he was a little stuck in his ways,” said Melanie McMullen. It turns out this clip was different. Since ClipDifferent was introduced to the market last fall, orders have come in from across the country. The cost per unit is $149. McMullen attributes part of that cost to how expensive it is to develop products. “You have to have engineering help, you have to have tooling help, you have to have machining people,” he said. McMullen also wants to have a cushion to develop new products. In about two months, the company is coming out with a children’s model. The startup company also learned some exciting news. 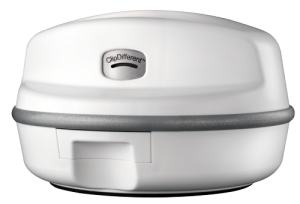 ClipDifferent is a finalist for this year’s Edison Best New Product Awards in the personal care category. The winners will be announced in April.